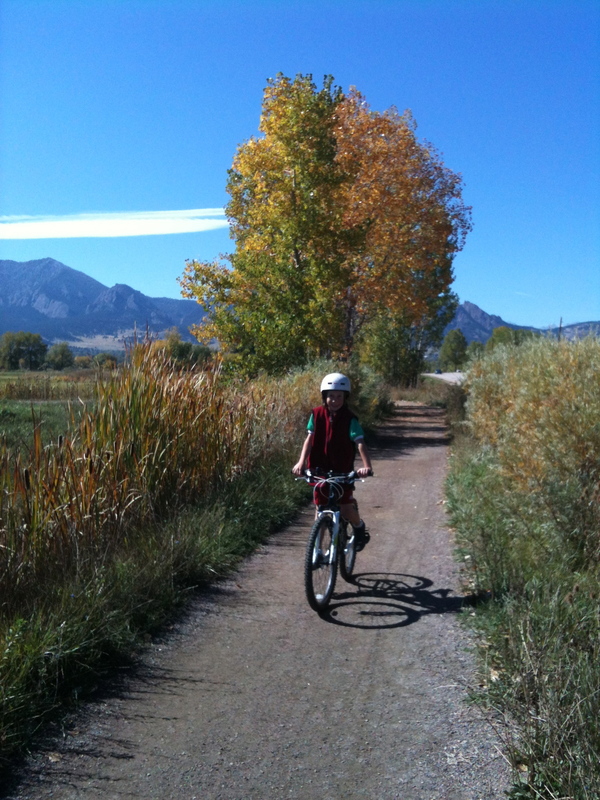 Yesterday we got out for a really fun bike ride with the kids along the South Boulder Creek Trail. I think this one is appropriate for most ages as long as your child is steady on dirt paths. The ride started at Marshal Road right off of Broadway heading South out of Boulder. There is plenty of parking along the road. The South Boulder Trail connects to the Bobolink Trail as it heads under South Boulder Road. Both trails are relatively flat, meandering at times, but generally perfect for most kids. The ride started with both of my kids begrudgingly getting on bikes. But really as soon as they hit the trail they forgot about their initial feelings and cruised along. We headed out along the wide dirt path and meandered over bridges, under a road, along agricultural land with cattle, along South Boulder Creek and the beautiful trees lining the creek, & checked out some cute prairie dogs [kept our distance]. The kids had a great time! 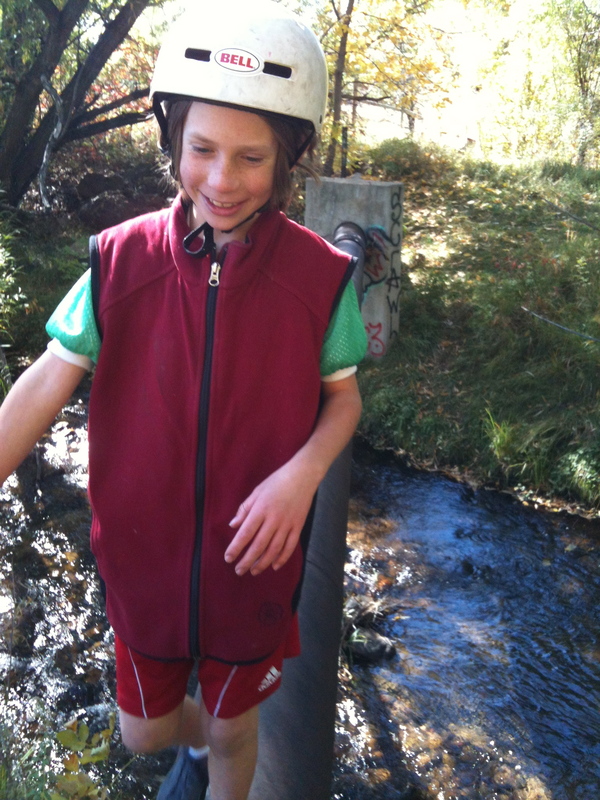 We stopped as often as we wanted along the creek for them to throw rocks, climb trees, or walk along the irrigation pipes. The whole path is a playground. I will definitely be adding this trail to my Top 5 Bike Rides for Kids in Boulder! Distance: 2 miles along South Boulder Creek Trail to the connection with Bobolink [out and back]. If you take the trail all the way to Bobolink Trailhead add 1.5 miles from the tunnel under South Boulder Road. This entry was posted in Trip Review, Uncategorized and tagged Bike rides for kids, Biking, Bobolink Trail, Boulder, City of Boulder, Colorado, Families, Get Outdoors, Getoutdoors, Kids, Open Space and Mountain Parks OSMP, South Boulder Creek Trail, Trails, Trip Review by Boulder Families. Bookmark the permalink.